A lot of the problems any historian of the early Middle Ages faces are about how typical any given piece of evidence is. When so little survives, can we generalise from the few fragments we have across the great spaces where we simply know nothing? I came up against this while writing the post some time back about widow warlords, where as you may remember I wound up trying to argue for a level of social occurrence that could be common enough to be frequent while still being statistically unusual. The question remained then: how unusual? And this led me to thinking about the best evidence I have for female presence in local society, the good old Vall de Sant Joan hearing, and then the temptation stole upon me to do some very bad maths. Y’see, the Vall de Sant Joan hearing seems to be really good evidence for population size, at least by our starvling early medieval standards. We do not know the whole population of the area, but we think we know how many households there were in it, and we know what size it was: 269, by my count, and about 7 km2.1 Now, we could just multiply up, because the Vall de Sant Joan is in some sense a jurisdictional term and we know how many of those there were in the tenth-century county of Osona, give or take a few for changes, and it’s thirty-seven. If each contained this many households, tenth-century Osona would have been a county of nearly ten thousand households. 1. The reason we assume that the document, which is a vast parchment recording the names of people who swore that Abbess Emma of Sant Joan de Ripoll had been given the valley to settle by her father Count guifré after he expelled the Saracens from it, records households is because about half of its signatories are female, and mostly appear with a male partner. This looks like an attempt to implicate all the conjugal pairs of the valley in what was in fact a political fiction (see Jonathan Jarrett, “Power over Past and Future: Abbess Emma and the nunnery of Sant Joan de les Abadesses” in Early Medieval Europe Vol. 12 (Oxford 2005 for 2003), pp. 229-258, DOI: 10.1111/j.0963-9462.2004.00128.x), but since there are others who aren’t in pairs, it must also be more than that. Hence, households seems likely. The argument is made most thoroughly in Gaspar Feliu i Montfort, “Sant Joan de les Abadesses: algunes precisions sobre l’acta judicial del 913 i el poblament de la vall” in S. Claramunt and M. T. Ferrer i Mallol (edd. ), Homenatge a la memòria del Prof. Dr. Emilio Sáez: aplecs d’estudis dels seus deixebles i collaboradors (Barcelona 1989), pp. 421-434. The count of these households I just redid from a spreadsheet I constructed when writing the thesis that lies behind Jonathan Jarrett, Rulers and Ruled in Tenth-Century Catalonia: pathways of power (Woodbridge 2010), where you can find more detail at pp. 35-51. The area I estimate from the map in Jordi Bolòs & Victor Hurtado, Atles del Comtat d’Osona (798-993) (Barcelona 2001), pp. 94-95 at p. 94. 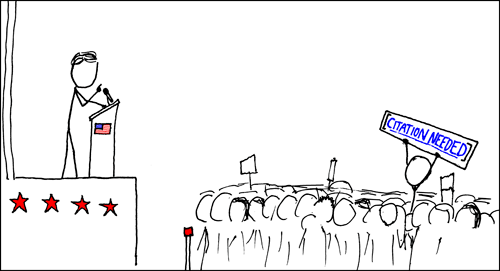 Thus my doubtless inaccurate estimation is already one basic source of error! 2. This is the basic story of Jarrett, Rulers and Ruled, as above and also pp. 57-64. 3. Theodore V. Buttrey, “Calculating Ancient Coin Production: facts and fantasies”, The President’s Address in Numismatic Chronicle Vol. 153 (London 1993), pp. 335-351 at p. 351. 5. I look here with especially narrowed eyes at Georges Duby, The Early Growth of the European Economy: warriors and peasants from the seventh to the twelfth century, transl. Howard B. Clarke (London 1974), pp. 11-13, which does exactly the trick Ted decries (Buttrey, “Calculating ancient coin production”, pp. 349-350) of surrounding the data with all kinds of cavils and conditions and then rhetorically building on it just the same. 6. Buttrey, “Calculating ancient coin production”, pp. 349-350. Now that I am returned from all my conferences, I have a few very frantic months left as a numismatist before I demit that noble calling so as to return to medieval history of more traditional sorts. In fact, of course, I will not be leaving the coins completely behind me: almost the first thing I will be doing in my new rôle is to give a guest lecture back at the Barber Institute, as part of my own exhibition there, and then I’ll be going to the International Numismatic Congress in Taormina, and I should just be back from that in time to start teaching the aftermath of the end of Roman rule in the West. And in fact, even then, I shall have enough publication projects in hand what with All That Glitters and a couple of other things to do with the Barber’s collections that it may take a while for anyone to notice that coins are not, in fact, what I work on… In that spirit, therefore, here is something like an informal presentation of the problem my paper at Taormina will be addressing, which I do mainly so as to have a first go at posing the problem in text. Basically, my question is: why did Byzantine coins turn concave? It is perfectly reasonable for your first reaction to this question to be “What?”, don’t worry. But this is a thing that happened: from the 1050s onwards, more or less the reign of Michael IV (1034-1041), Byzantine precious metal coinage began to be manufactured with a slight dish-shape that became more and more pronounced, and then spread to the lesser metals too. It also went badly downhill in metal quality, and by the reign of Emperor Alexios I Komnenos (1081-1118) the situation was so bad that despite the massive calls on his empire’s much-reduced resources he reset the coinage in the only way one really can in an international precious-metal economy, by accepting the degradation of the existing coins, reclassifying them and introducing a new, 80%-gold denomination, the hyperperon at the top of the tree.1 The old supposedly-gold nomismata became either electrum (gold-silver alloy) or billon (lightly-silvered copper) ‘trachies’, and this meant that the small change was also now concave, though there was also a flat bronze tetarteron that was used especially in what is now Greece.2 Anyway, I digress. The real question is, why adopt the dished design anyway? One thing, and really one thing only is sure about this, which is that it was not an easy thing to do. In the first place, the designs on the dies with which the blank coins were struck were carved in such a way as to keep the design correctly proportioned: it looks straight even though it’s bent, something that becomes very evident when you try to photograph them in such a way that they face you but are still clearly concave. Scanning is better for this because the fall of light emphasises shadow, but with adequate lighting the concavity is quite often visually undetectable in conventional photography. So that was cunning artistry, and not least because the dies themselves, we are fairly sure, were made curved, rather than deforming flat coins by striking them.3 In fact, it seems likely that the flat blanks were first struck with blank dies to curve them, and then the resulting curved blanks were struck with two obverse dies, one for each side of the coin’s design, to ensure a good impression all over the coin’s surface.4 This means that the manufacturers were readier to triple the production process complexity than to make dies that fitted each other snugly, apparently, but we can mainly take from this: there must have been a point to all this, but what? Now, don’t worry if you’re already laughing at this; I think it is fair to say that thinking about this problem has not been the highest achievement of numismatics as a discipline. But if you’re not quite seeing the problems here, let me set them out for you. The concavity may make the coins harder to bend, but it makes them far more prone to cracking, because the edges come out so thin, as you see below. And once a coin is cracked, it’s actually in much more danger of snapping; we take a lot of care not to drop these things, in case that fault line should just complete on impact. Yet the practice was maintained for long after that would have been apparent. So, no. The metal quality certainly is more evident, because of those same thin edges, but in that case it would be quite important to maintain that quality. Yet the concave coins went through just the same nosedive of purity again once reformed, and you’d think that even if making them flat again would have been some kind of admission of failure, at least it would have been unclear how badly you’d failed, whereas with the concave coins there’s no hope of concealment. They just don’t stack, seriously. The manufacture was not regular enough to guarantee anything but the most basic fit. And why on earth would this have been a desirable thing here, when even cultures that use money in strung-together multiples like Chinese cash are still flat? A much better way to do this would have been to cut the designs in lower relief, or just cut them deeper than the surrounding border, so that that became the point of contact between any two coin faces. I find this one actually a silly explanation, sorry. In so far as I’m going to take this seriously at all, why would you start with the gold for something that would ordinarily, surely, be played with low-value coins? And why on earth would the emperor care anyway? Still more why would any subsequent emperor not repeal this in the next reform? 1. On the circumstances leading to this reform see most easily Alex Nobes, “The economic and monetary policy of the Byzantine Empire under Alexios I Komnenos” in Rosetta Vol. 11 (Birmingham 2012), pp. 56-71, online here, but you might wish to compare Michael Hendy, Studies in the Byzantine Monetary Economy c. 300-1450 (Cambridge 1985), pp. 513-517 and Alan Harvey, “Financial crisis and the rural economy” in Margaret Mullett & Dion C. Smythe (edd. ), Alexios I Komnenos. Papers on the Second Belfast Byzantine International Colloquium, 14-16 April 1989, Belfast Byzantine Texts and Translations 4.1 (Belfast 1996), pp. 167-184. 2. For the actual coins, the best guide is indubitably Philip Grierson, Byzantine Coins (London 1982), pp. 211-228, esp. pp. 223-228. 3. Simon Bendall & David Sellwood, “The method of striking scyphate coins using two obverse dies, in the light of an early thirteenth century hoard” in Numismatic Chronicle 7th Series Vol. 18 (London 1978), pp. 93-104. 4. David Sellwood, “The Production of Flans for Byzantine Trachy Issues” in D. M. Metcalf & Andrew Oddy (edd. ), Metallurgy in Numismatics, Royal Numismatic Society Special Publication 13 (London 1980), pp. 174-175. 5. Strength: as well as the article linked, Cécile Morrisson, “La concavité des monnaies byzantines” in Bulletin de le Société française de numismatique Vol. 30 no. 6 (Paris 1975), pp. 786-788, criticising the work of Hendy cited below, for which reason no doubt Hendy not unjustly responded in Studies in the Byzantine Monetary Economy, p. 510 n. 313, “Neither explanation [that of Grierson mentioned below or Morrisson’s] is totally satisfactory by itself, as neither takes full account of the curious inconsistency of its early usage”, and indeed I could show you flat nomismata contemporaneous with the earliest concave ones right here where I write. Indicator of metal quality: Michael F. Hendy, Coinage and Money in the Byzantine Empire 1081-1261, Dumbarton Oaks Studies XII (Washington DC 1969), p. 6; Alfred R. Bellinger & Philip Grierson (edd. ), Catalogue of the Byzantine Coins in the Dumbarton Oaks Collection and in the Whittemore Collection. Volume Three: Leo III to Nicephorus III 717–1081, by Philip Grierson, Part I: Leo III to Michael III (717–867) (Washington DC 1973), pp. 5-7, to which cf. Morrisson, “Concavité des monnaies byzantines”, p. 787, accepted by Grierson, Byzantine Coins, pp. 197-198. I don’t yet have cites for the stacking or tiddly-winks theories, alas; they are much repeated but never with attribution. For the idea that the flans were now too big and had to be reined in, see Franz Füeg, Corpus of the Nomismata from Basil II to Eudocia 976-1067: corpus from Anastasius II to John I 713-976 with addenda; structure of the issues 976-1067; the concave/convex histamena; contribution to the iconographic and monetary history, ed. Italo Vecchia, transl. H. Thomas Hofmänner (Lancaster PA 2014), pp. 103-124 esp. pp. 122-124. 6. This last point, though obvious, I had to have pointed out to me by Dr Rebecca Darley. This is not entirely Duby’s fault. He wrote a couple of textbooks in the 1960s and 1970s that somehow remain the world standard for any history of the early medieval economy that actually contains agriculture, and he used the best thinking available and sources known at the time.4 He did a pretty good job of synthesis on that, and though one might wish he’d thought about it a bit harder, it’s really not just him who’s failed to do so, and those that have thought about it haven’t really looked hard enough at his evidence.5 That was, in large part, the Carolingian estate survey of the fiscal centre at Annapes preserved in the text known as the Brevium Exempla, and some time ago already now I gave a paper at Kalamazoo in which I showed that Duby had in fact read the text wrong, or rather failed to read all of its data, as had all those he used, even, I’m sorry to say, Philip Grierson, and I considered that dispatched and proceeded to writing it up.6 But Annapes was not Duby’s only source that seemed to support these awfully low yields, and so I needed to see if the same tricks could be performed with the others too, and you will by now have guessed or maybe already know that one of them was the polyptych of Santa Giulia di Brescia. 1. See Rita Lejeune, “The Troubadours” in R. S. Loomis (ed. ), Arthurian Literature in the Middle Ages: a collaborative history (Oxford 1959), pp. 393-399. There is a problem here that’s more than simply translation. I tend to be surprised and not a little put off when encountering much German scholarship by its wish to categorise the data of our sources according to ideal types, as if that tells us something about it that is greater than mere description would be. You’ve seen me complain about this when the categories are those of feudalism, but you can imagine a similar set of arguments around categories of state action and so forth. There is, of course, a counter-argument that says that my atheoretical positivist background leaves me doing this categorisation unconsciously, picking things that I think are important or interesting according to structures of thought I don’t acknowledge,4 and that therefore the model I’m characterising as German is more honest and correct, and I’m sympathetic to that whilst still thinking that going no further than categorisation and classification is a mistaken carry-over from the natural sciences that doesn’t advance our understanding. What I suppose this shows is that even when we’re conscious there’s a problem, it’s hard to entirely escape the preconceptions with which we were first equipped by our nazional-akademische Bildungscharakter, or whatever. Here’s a national-academic character portrait all right! This man is probably partly to blame, this being of course Max Weber, here aged 30, and some years before inventing the ideal type as a tool of social analysis. 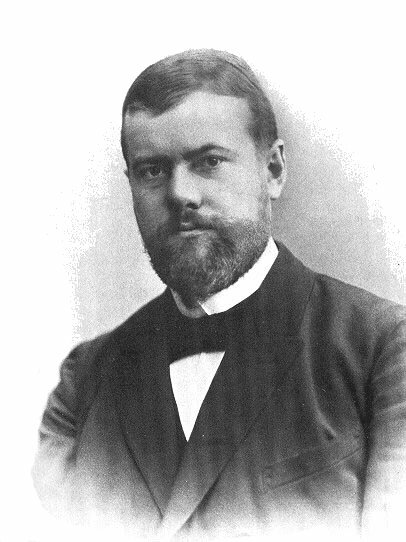 “Max Weber 1894” This file is lacking source information. Licensed under Public domain via Wikimedia Commons. I imagine that some of my choices of words there for his carefully-chosen German will make Steffen blanch, and it could probably be argued that I still haven’t really understood the full subtlety of it, but it’s still fairly powerful, I think; he starts well within the intellectual tradition people expect, with Weber and indeed by talking theoretical approaches for the first four pages of a thirteen-page chapter without using the first noun in his title once. Quickly, however, he goes for the obvious weak points in the old approach to break a door open, and assembles various newer work into a fresh approach that looks as if it could mean more or less the same thing but which has the great advantage of transportability. This goes, to me, to show the extraordinary value of being willing to adapt others’ theories. I’m not entirely sure who couldn’t use that question of their area of study, if they wanted, which puts it a long long way ahead of ‘Gab es Staatlichkeit oder Urstaatlichkeit in dieser Volksgruppe, und wie viel?’ or similar. I’ve learnt something I can apply to my article from most of the chapters in this volume but this is one I shall be able to take away and cite and think with. Thankyou, Professor Doktor Patzold! 1. W. Pohl & V. Wieser (edd. ), Der frühmittelalterliche Staat – Europäische Perspektiven, Denkschriften der philosophisch-historischen Klasse 386, Forschungen zur Geschichte des Mittelalters 16 (Wien 2009); Stuart Airlie, Pohl & Helmut Reimitz (edd. ), Der Staat im frühen Mittelalter, Denkschriften der philosophisch-historischen Klasse 334, Forschungen zur Geschichte des Mittelalters 11 (Wien 2006). 2. A debate exemplified in English usefully by Rees Davies, “The Medieval State: the tyranny of a concept?” in Journal of Historical Sociology Vol. 16 (Oxford 2003), pp. 280–300, vs. Susan Reynolds, “There Were States in Medieval Europe – a reply to Rees Davies”, ibid. pp. 550-555. 3. Walter Pohl, “Staat und Herrschaft im Frühmittelalter: Überlegungen zum Forschungsstand” in Airlie, Pohl & Reimitz, Staat im Frühmittelalter, pp. 9-38. 4. Carl Łotus Becker, “Detachment and the Writing of History” in The Atlantic Monthly Vol. 106 (Washington 1910), pp. 524-536, repr. in idem, Detachment and the Writing of History: essays and letters of Carl Ł. Becker, ed. Phil L. Snyder (Ithaca 1958), pp. 3-28. 5. Steffen Patzold, “Bischöfe als Träger der politischen Ordnung des Frankenreichs im 8./9. Jahrhundert” in Pohl & Wieser, Frühmittelalterliche Staat, pp. 255-268, section abstracted here pp. 255-259.